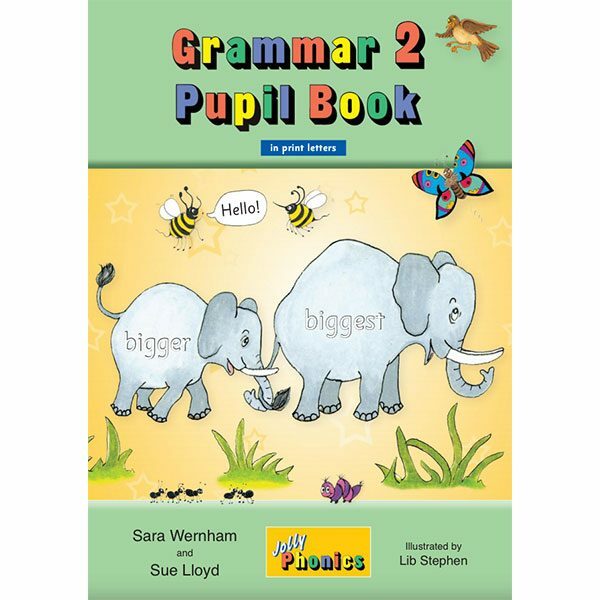 Grammar 2 Pupil Book follows on from Grammar 1 Pupil Book. 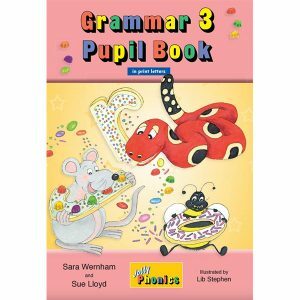 Children are able to work through the Pupil Book and complete a variety of activities which develop key spelling and grammar skills. 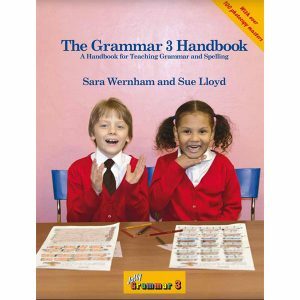 The teacher is able to support and guide the children through the book with the Grammar 2 Teacher’s Book. 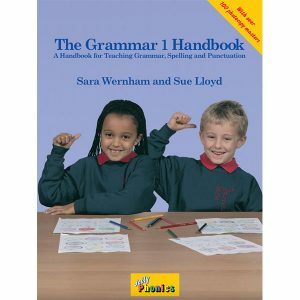 Grammar 2 Pupil Book contain 36 spelling and 36 grammar lessons covering the following areas: new spelling patterns; silent letters; syllables; identifying the short vowels; spelling rules – consonant doubling and adding suffixes; tricky word families; revision; further adjectives; comparatives and superlatives, prepositions; conjunctions; dictionary work; punctuation; exclamation marks; apostrophes and further sentence development.